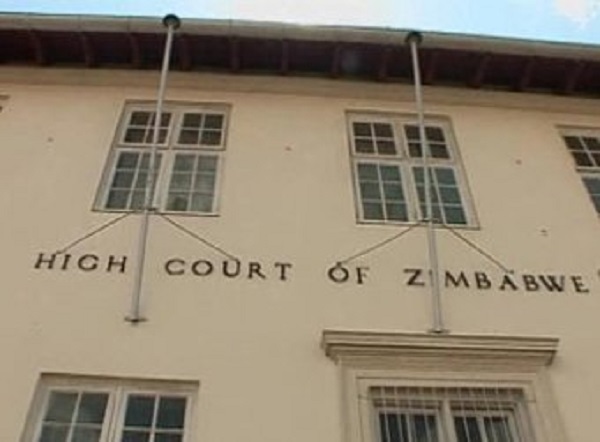 ZIMBABWE – A robber from Chitungwiza who was part of a gang that pounced on a foreign currency dealer on his way home robbing him of more than US$7 000 was slapped with a three and half years prison term. Colleen Chirwa, 39, of 1915 St Mary’s was with his accomplices Forget Dambaza, Arnold, Misheck and Stan. They met the ring leader Tirivanhu Mabhunu who works with the victim Abel Kagura, 45, of Zengeza 2 in the same area and supplied information about the latter’s movements. The court heard that Mabhunu, Dambaza, Arnold, Misheck and Stan are all still at large. On the fateful day, Chirwa was arrested on the scene by Kagura’s neighbours while the rest of the gang escaped. Appearing before Chitungwiza magistrate Mr Lazarus Murendo Chirwa admitted to robbery charges and was handed a five-year prison term after. Six months of his sentence were set aside for five years with a year suspended on condition he restitutes $7 532 by April 30. The prosecutor, Mr Edmond Ndambakuwa told the court that on February 3 and at around 8pm, Kagura was conducting his business at Zengeza 2 shopping centre. This was the time his rival Mabhunu was busy planning for his demise when he met with the rest of the gang providing it with information about Kagura. At around 9pm, the gang went to Kagura’s house in a commuter omnibus being driven by Misheck with no registration plates. Upon arrival, they parked their vehicle along the street opposite Kagura’s house. Kagura left his workplace at around 10pm going home driving his vehicle, a Toyota Harrier and on arrival, disembarked to open the screen gate. This was the time the gang sprung on him and struck him on the left shoulder with a metal rod. Kagura fell to the ground while the gang searched his pockets and took away $6 100, R15 000, 480 British Pounds and 260 Euros. During the attack, Kagura raised alarm and his neighbours rushed to the scene and arrested Chirwa while the other gang members escaped. Police recovered US$100, R3 000, 65 British Pounds and five Euros from Damba’s wife Betha Mwalimu.